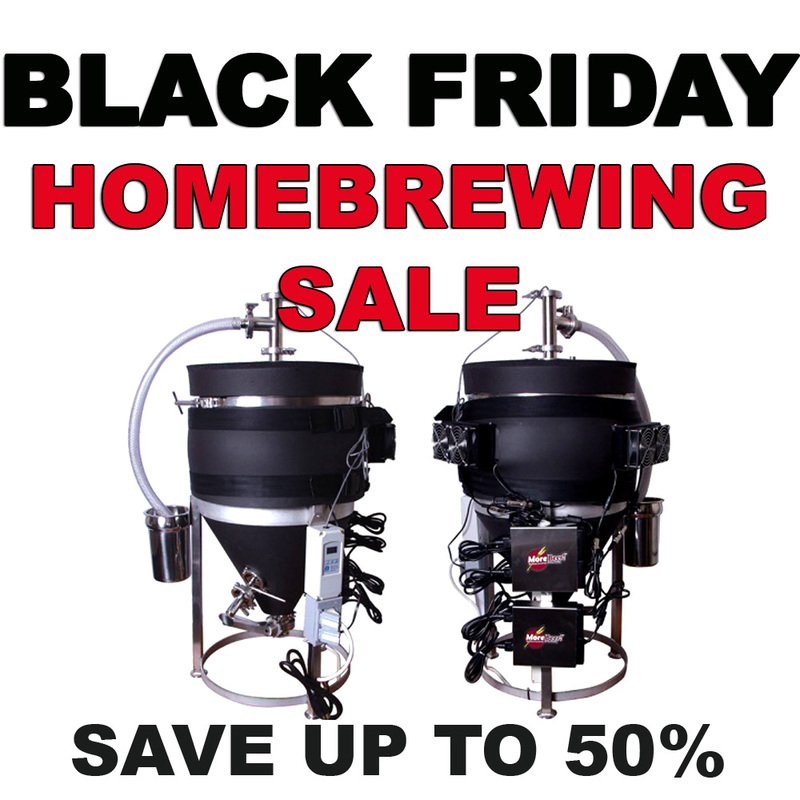 MoreBeer.com Coupon Code Description: If you are looking for a great software to help you design your home brewing beer batches, Beer Smith 2 is your best choice. 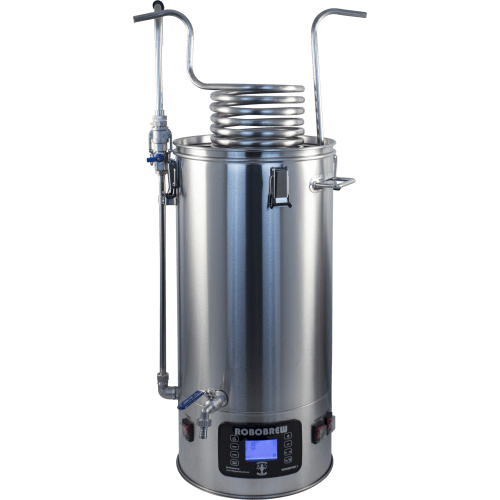 Beer Smith 2 is an essential home brewing tool for any brewer that is interested in creating their own recipes. The integration of recipe formulation, preparing proper yeast starters, calculating out mash cycles, and setting up proper fermentation temperature control schedules is truly a work of art. Plus, it’s easy to print out recipes too! 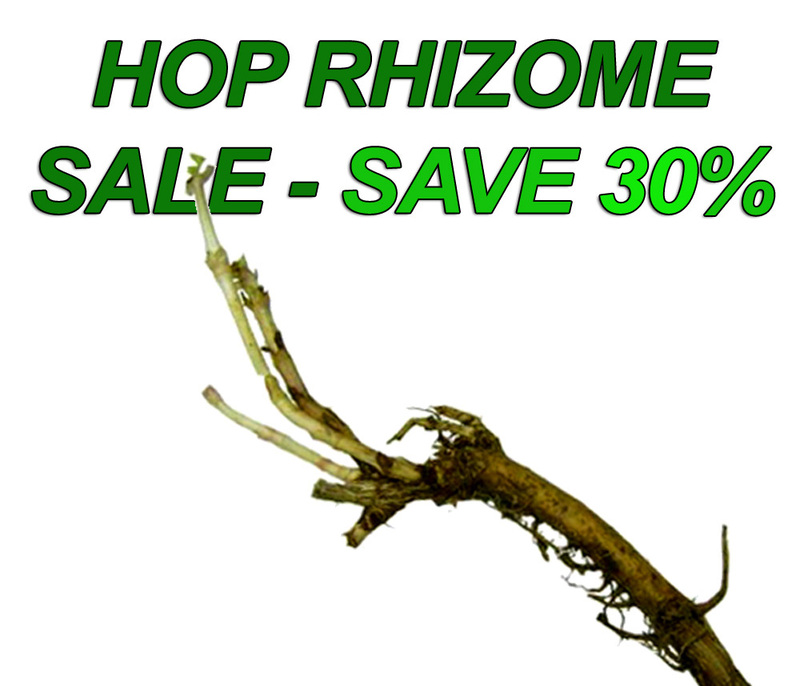 You can add new malts, hops, yeast and more to your inventory. Every home brewer should have this! 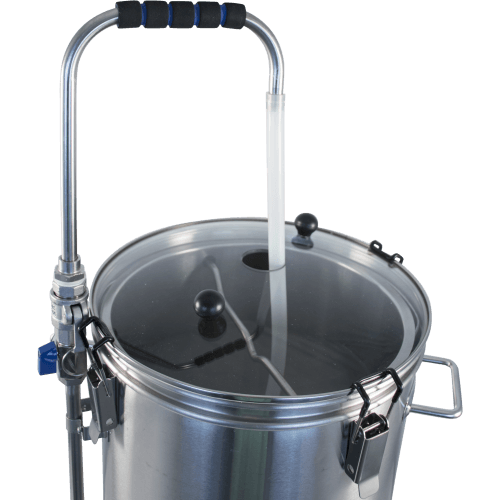 Beer Smith is suitable for the beginner, intermediate or advanced brewer including tools for extract, partial mash and all grain brewers. Incredibly easy to use with unlimited undo, simple web-like navigation, a preview pane and a no-nag interface. Includes over dozen standalone tools in addition to recipe analysis that is fully integrated with the recipe system. Equipment databases let you set up your equipment once and use it multiple times. Create a shopping list directly from any recipe. Mash profiles for the advanced brewer make changing your mash schedule a snap. BeerSmith will even build a step-by-step list of instructions directly from your recipe. 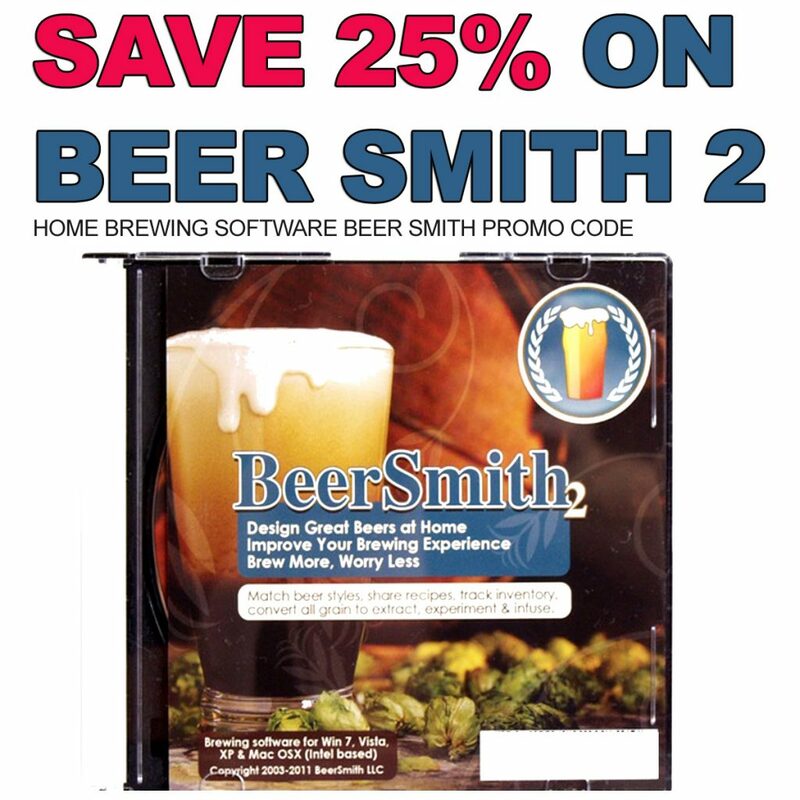 Right now you will save 25% on your Beer Smith home brewing software purchase at More Beer. Click the link for all of the details. 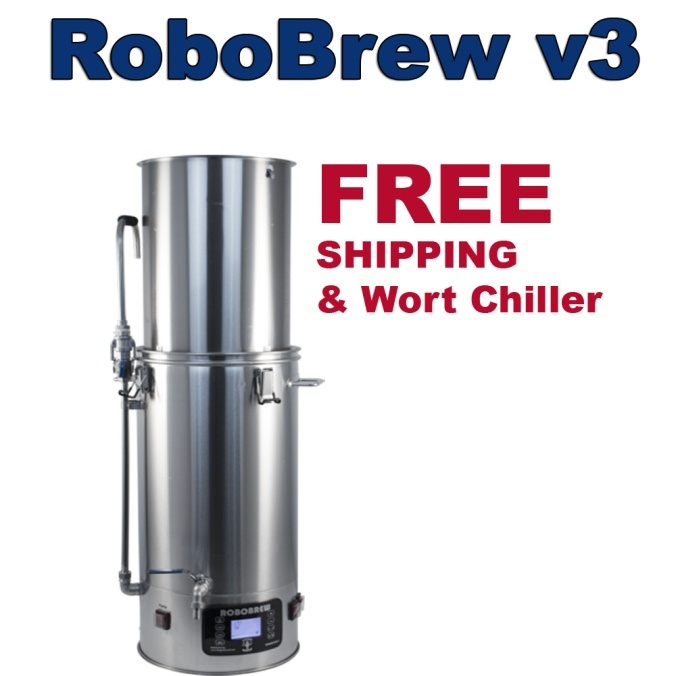 The Robo Brew 3 All Electric Home Beer Brewing System is the ultimate portable all grain home brewery! The RoboBrew uses standard 110 v power so you can brew beer anywhere. The built in magnetic drive pump easily recirculates the wort during the mash. Dual heating elements run off of a single 110 volt plug and have individual switches allowing for more control over the heating process. One element is 1000 watts and the other is 500 for a combined 1500 watts! Use both when you need to ramp up the temperature quickly either at the start to get to your mash temp or to go from your mash temp to boiling. 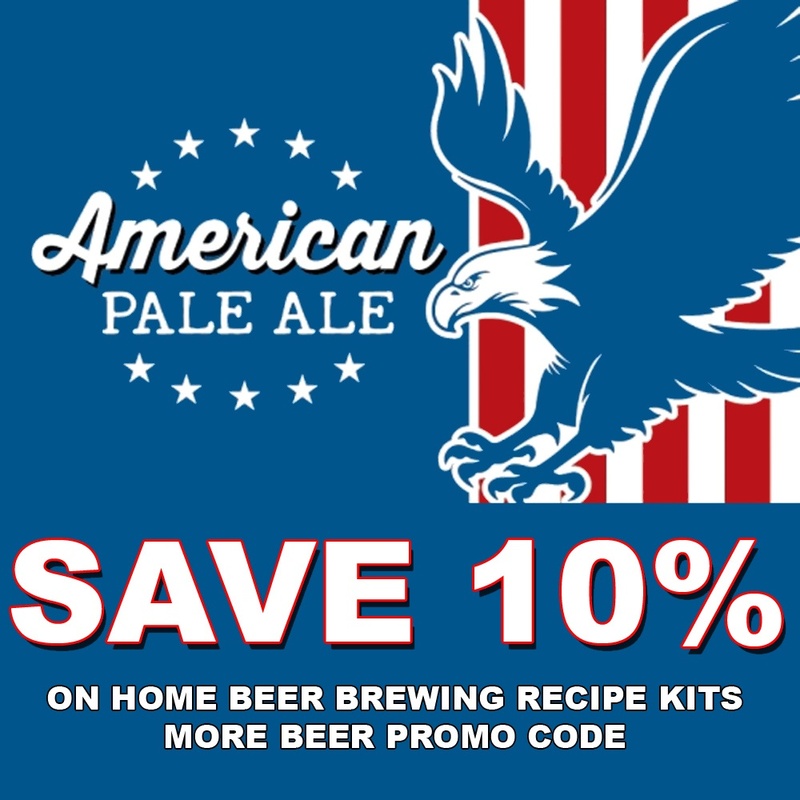 More Beer Promo Code: Enter Code BHY18 at Check OutCoupon Code Description: Enter the More Beer promo code BHY18 at check out and save yourself 10% off home beer brewing recipe kits. This is More Beer’s way of wishing you a Happy New Year and a Happy Brew Year! Orders over $59 will also qualify for free shipping, making this an incredible deal. 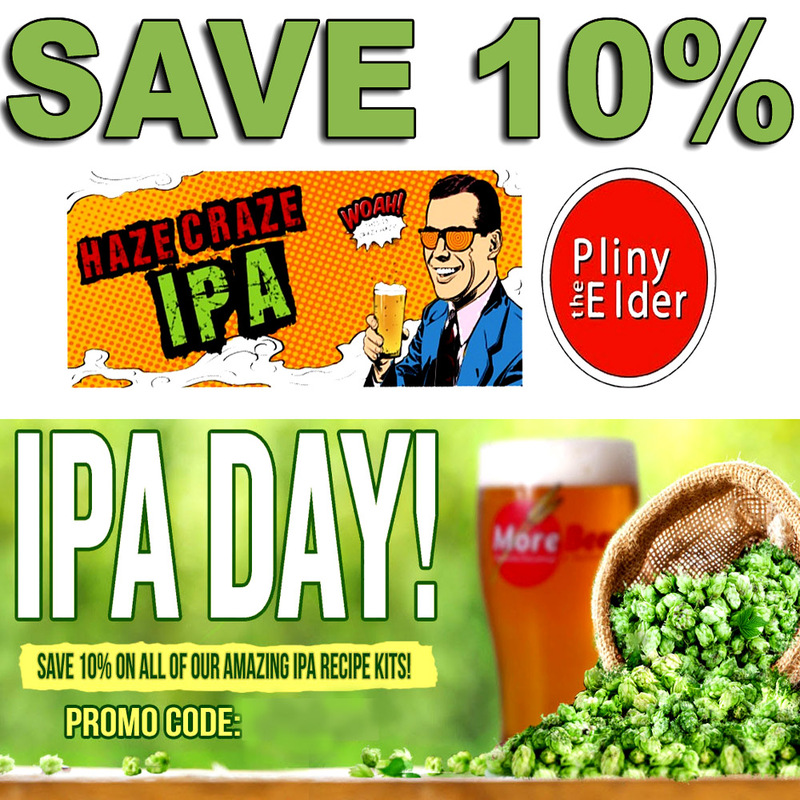 So now is a great time to stock up on some of their most popular home brewing recipe kits like Pliny the Elder, Blind Pig, Haze Craze and more! 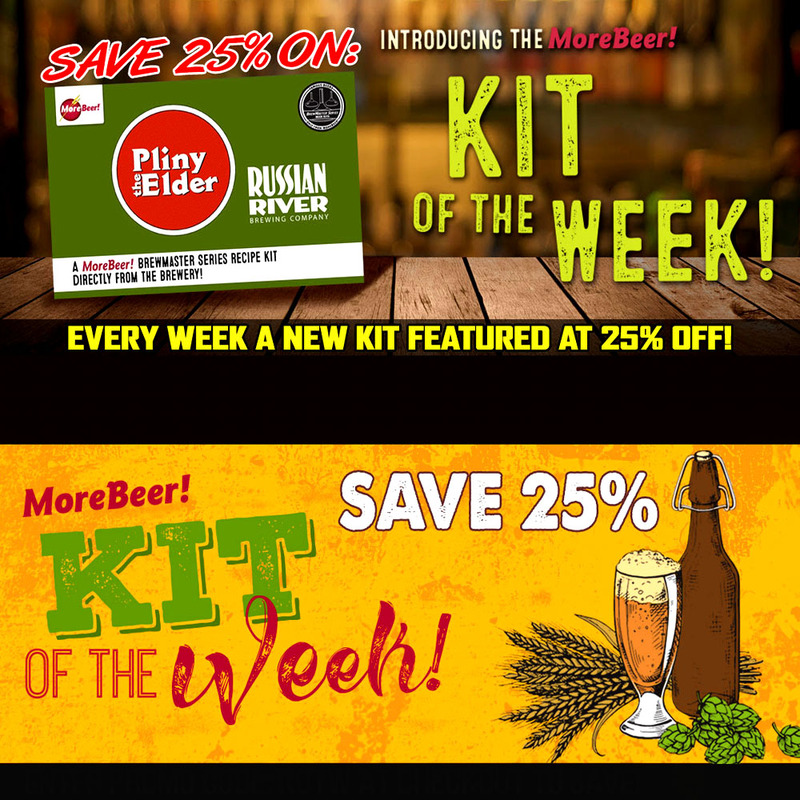 This deal is good for both extract beer brewing kits and all grain brewing recipe kits. Save 20% On Intertap Draft Beer Taps at More Beer, Today Only! 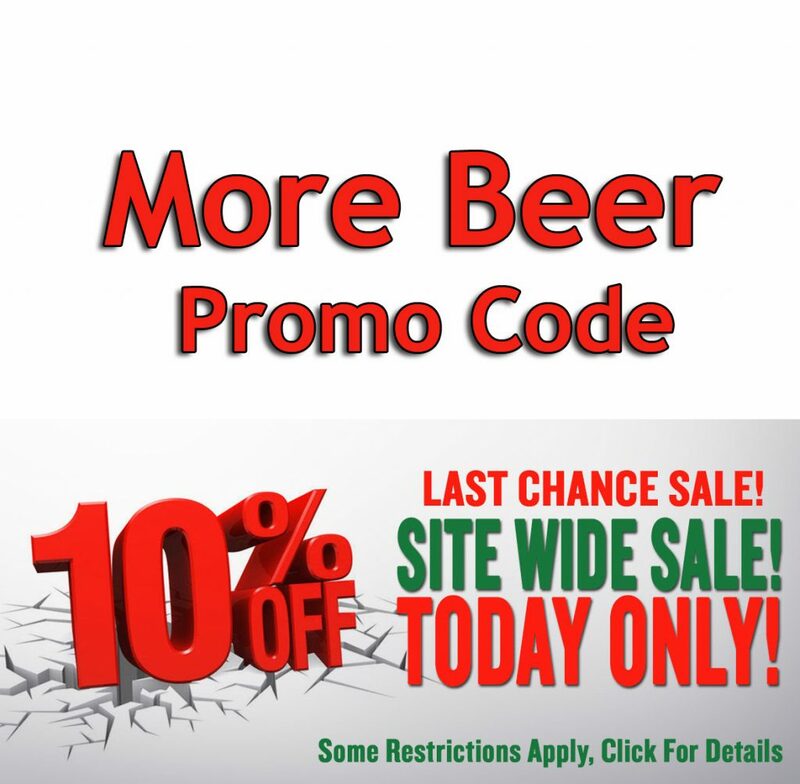 MoreBeer.com Coupon Description: Today only, save 20% On Intertap Beer Taps and Faucets during Day 7 of the MoreBeer 12 Days of Christmas Sale! This deal is for today only and with the promo code you can pick up any speidel plastic home brewing fermenter for a great price! Intertap makes the best beer taps and faucets out there! Now is your chance to save big on them and get free shipping on orders of $59+. 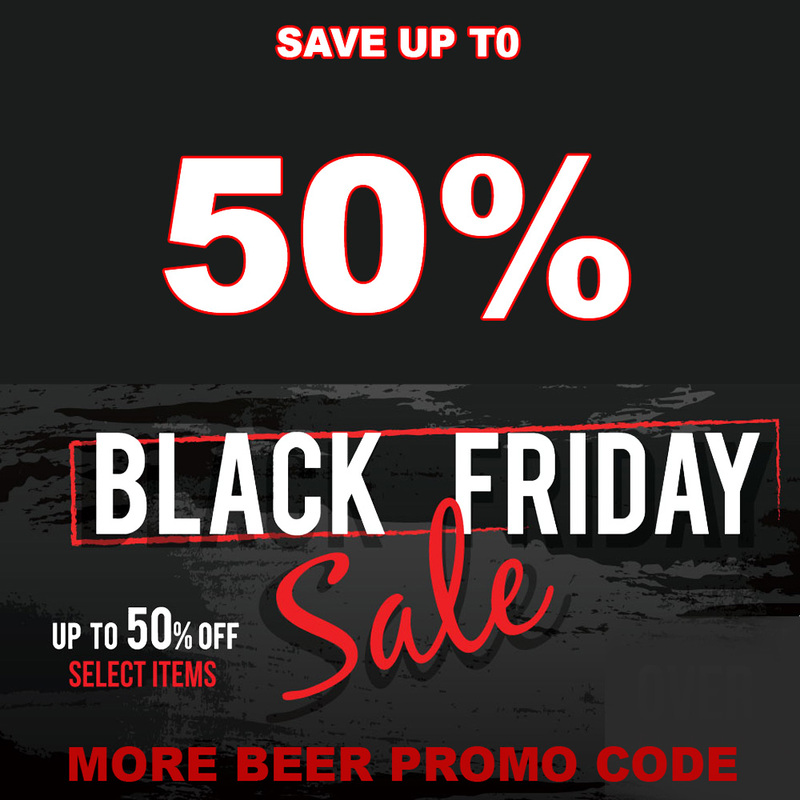 Do not forget to enter More Beer promo code TAP20 at checkout for the discount. I personally have 2 off these on order for my new draft beer setup. I will post some photos as soon as I have a chance to install them! Click the link for all of the details!